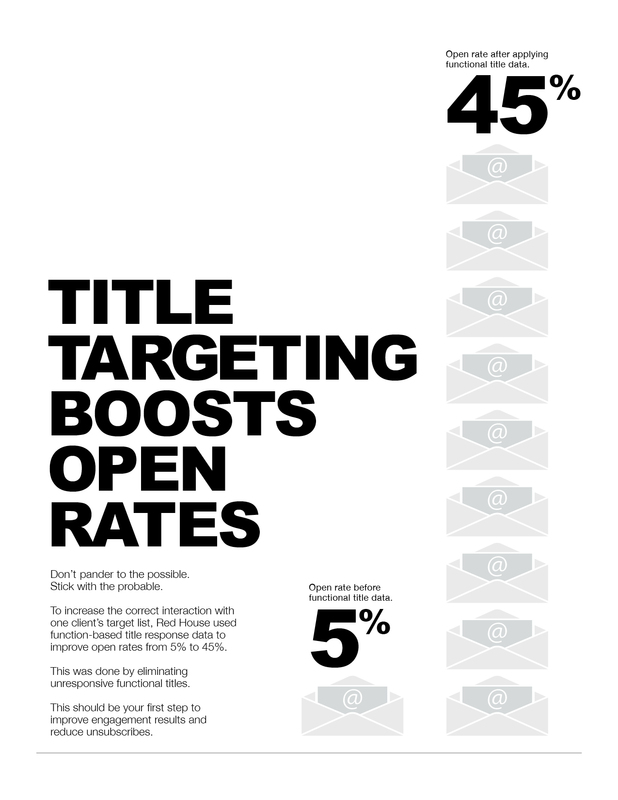 Hit More Targets with Titling. You’ve sent the most compelling e-mail offer ever, with a can’t-miss subject line that’s sure to make the open rate soar, and your client wanting more. And yet, it missed. Why didn’t your target audience care about it? Three words: functional title data. Dan Hansen is a Senior Partner with Red House and a 30-year veteran of the marketing industry. In addition to holding a master’s degree in advertising from Syracuse University, he works in a marketing consulting capacity with Red House clients such as McKesson, Elsevier, Equifax, and AT&T.